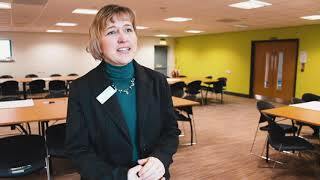 Great Aycliffe & Middridge Partnership (GAMP) are holding a community forum event to celebrate what’s ‘GREAT’ in Newton Aycliffe and Middridge. The Event is taking place on Saturday 8th November, from 10am until 2pm, at Newton Aycliffe Youth & Community Centre, and a range of local community groups and service providers will be attending to promote their activities and services. Why not come along and find out more about all the great work that’s going on in your local community? There will be free activity taster sessions and demonstrations taking place throughout the day. A really vital part of the event is also to ask local people to vote for their most important priorities – the things that you think matter the most to you and your community – the results of your votes will give our Partnership Board members a steer when they look at deciding what priorities we should be working on for the area next year. “We have an Area Budget of £120,000 to spend on local projects to address the priorities each year – so it’s really crucial that you take this opportunity to tell us what you feel is important,” said a spokesman. For more details email [email protected] or call 01325 327441.